Browse: Home / Dr. Mutulu Shakur is Welcome Here! Dr. Mutulu Shakur is Welcome Here! The #MutuluIsWelcomeHere campaign is asking groups and organizations to sign on and support the call for Dr. Shakur’s immediate release. In a statement published yesterday, Dr. Shakur writes “What we have been tasked with is difficult and victory will have been hard fought. This is yet another stage of the struggle. We must make the parole commission hear our voices.” Fill out this form to make sure the commission hears us loud and clear. We know that the prison regime will fight tooth and nail to prevent our political prisoners and radical leaders from gaining their liberation. We know that Black and Brown people, and particularly political activists, will be targeted and deemed threats regardless of anything the state can actually point to. This makes it all the more necessary to resist state repression and every block to freedom thrown at us and our comrades inside, and to fight harder than ever to ensure the freedom of all those who are locked up for devoting their lives to the struggle. 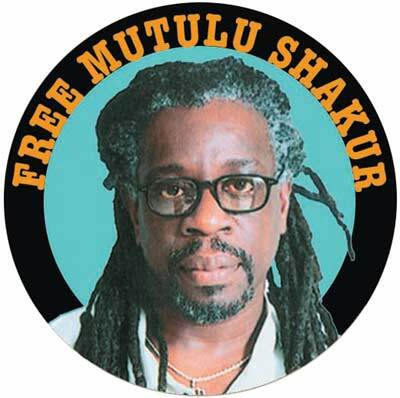 Free Dr. Mutulu Shakur and all political prisoners!